India Food Banking Network in collaboration with Sodexo conducted a food drive in three cities – Delhi-NCR, Chennai and Bangalore under Sodexo's Global Servathon initiative. The Food Drive took place at 55 sites of Sodexo at Ghaziabad & Noida, Bangalore and Chennai. Sodexo is committed to improving the Quality of Life of its employees and of all those it serves throughout the world and contributing to the economic, social and environmental development of the communities, regions and countries where it operates. Sodexo believes in better tomorrow through dialogues and joint actions with the stakeholders to help define and refine its strategy for sustainable development and areas of action. Sodexo is committed to 18 actionable programmes divided into four priorities and one of the priorities is “Nutrition, Health and Wellness”. 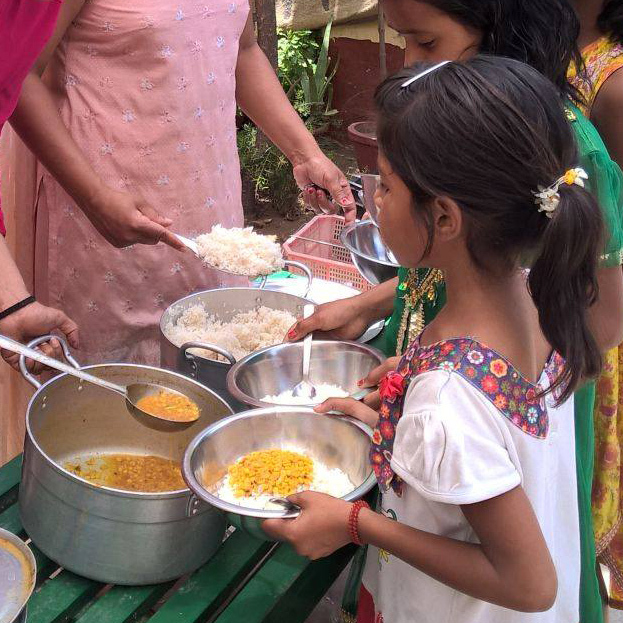 India FoodBanking Network is leading the fight against hunger and malnutrition by establishing Food Banks in India. These FoodBanks efficiently mobilize funds and food and distribute food to the beneficiaries in schools for underprivileged children, orphanages, old age homes and institutes for differently-abled. IFBN’s strength lies in its network of Food Banks and its corporate partners, who are playing a significant role in eliminating hunger which touches 194.6 million people in India. We are proud to have built strong partnerships with our stakeholders to feed thousands of underprivileged beneficiaries, especially children.